Have you ever visited another home and had to go really bad so you asked to use the bathroom? 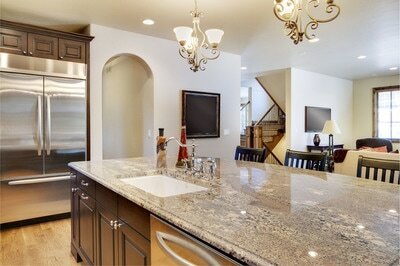 Upon entering, you see how clean and tidy it is and how classy the quartz bathroom countertops are. Didn’t that create such a good impression on the homeowner? Didn’t you feel a sudden sense of respect just because the bathroom was elegant and beautiful? It’s true that bathrooms create great impressions. It is inevitable, when you receive guests in your home, they will most likely ask to use the bathroom. More than just impressing others, it is always most ideal to have a beautiful bathroom of your own. After all, this is a sacred place where you spend a lot of time every day. Don’t you want your bathroom to be pretty and relaxing just because you deserve this kind of beauty in your own private space? At Stone World, we understand our clients’ needs to have such a nice and functional bathroom. 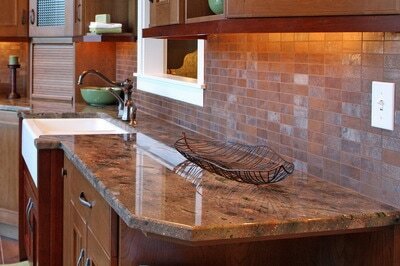 Among the most requested materials we have for bathroom countertops is quartz. Durable, elegant and beautiful, a quartz bathroom countertop makes such a huge difference compared to the so-yesterday tiled tops you see in other baths. We make sure that materials used are of the highest quality and we also aim to offer exceptional workmanship at all times when building bathroom countertops. Give us a concept or an idea of what you want your bathroom to look like and our men would deliver. Of course, we won’t let you have a bathroom that isn’t any good, so we would also offer suggestions and recommendations based on what we know from experience. Quartz is an excellent choice not only because of its durability, but also because you have so many colors to choose from. It is also easier to install and customize compared to other materials, so your vision of the perfect bathroom tops can certainly be achieved. 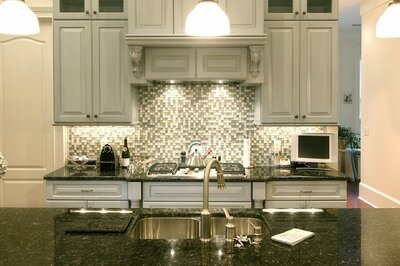 Quartz is also very easy to clean, is water-resistant and stain-resistant. Rest assured, your bathroom would look as charming as you need it to be for many years to come. If you’re from the Central Florida area including cities such as Orlando, Oakland, Ocoee, Lake Mary, Winter Garden and Heathrow, consider yourself lucky because the best makers of kitchen and vanity tops, including bathroom countertops made of quartz can service your area. At Stone World, we take pride in our long list of clients who are very satisfied with out work, and would come back to us for even more services. We would be honored to build your next beautiful quartz bathroom countertops. Call us at 407-341-4688 for a free estimate.